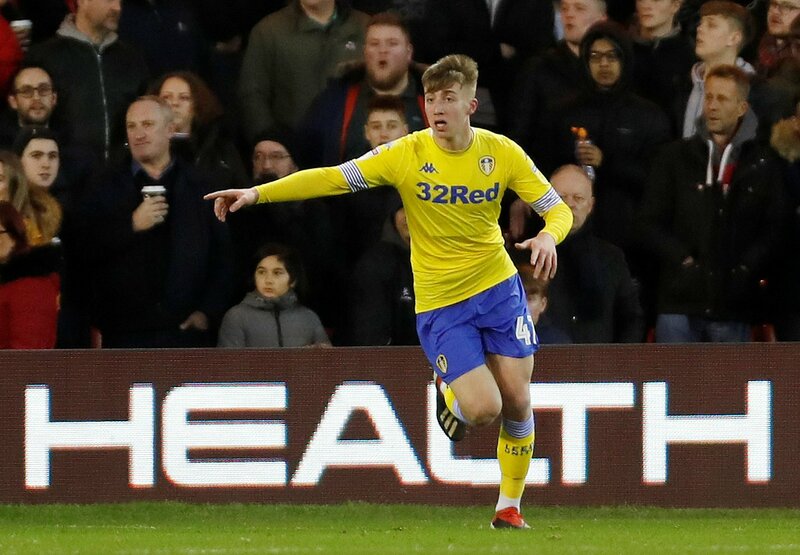 Jack Clarke’s meteoric rise to Leeds stardom has made him one of the most coveted players in the Championship. Premier League clubs were reportedly falling over each other in a mid-season scramble to snap him up, perhaps amid fears that another few months of eye catching form would give the promotion hopefuls an extra layer of power at the negotiating table. But the Whites faithful got their wish, and in some style. The former Leeds man and now agent of Clarke, Ian Harte, took to Twitter to undermine reports linking him with a move to Tottenham Hotspur. In the midst of the euphoria, though, it is worth noting that failure to win promotion this season will undoubtedly give Clarke and Harte plenty to ponder over, with Premier League clubs likely to be seen fighting outside Elland Road in yet another mad scramble to lay down their terms in front of Victor Orta. The proof is in the pudding: high-performing Championship players simply cannot help but succumb to the charm of top-flight football, as Leeds fans were forced to discover when Lewis Cook was cruelly snatched away in July 2016. Diminutive players who possess the ability to dictate proceedings from the centre of midfield are often the most talented in the game, technically speaking. Think Luka Modric, Xavi, Andres Iniesta, David Silva. In the absence of physical power to bail them out of tricky situations, these players have fine tuned their ball control, passing range and awareness to artistic perfection, and their talents are often those which are most eulogised over in the media. Cook was firmly in this bracket when he burst onto the scene as a 17-year-old in the 2014/15 season. For plenty of salivating supporters, it would have been insulting to describe him as a precocious talent; he was so much more than that. The Yorkshire-born wonderkid played his first full 90 minutes of football at home to Bolton on August 30th 2014 and he never looked back from that moment. Orchestrating from deep and tip-toeing through the heart of midfield with immaculate control, Cook went on to make 33 starts during his maiden campaign, and from that moment a future star was born. Sitting somewhere on the spectrum between playmaker and pitbull – despite his unimposing presence – Cook enjoyed another full season at Elland Road, winning the Football League’s Young Player of the Year award in the process, but failure to clinch promotion facilitated an inevitable but equally gut-wrenching departure. Bournemouth were the suitors as a £6million fee was agreed, with the deal potentially rising to £10million with future add ons. The firm fan favourite moved on to pastures new but who could blame him? He was a talent who was simply a class above in the second-tier. It would be a gross exaggeration to place Clarke in the same bracket as Cook, now 22, considering his inexperience at senior level, but there are certainly parallels to be drawn in the level of hype both players created after breaking through at Leeds. It’s difficult to escape the feeling that Clarke will be nailed-on to follow in Cook’s footsteps by completing a Premier League switch if Leeds fail to clinch promotion this season. Which leaves us at one natural conclusion: Marcelo Bielsa and his players will just have to see the job through.